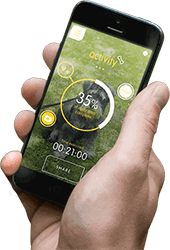 As a personalised dog advisor in your pocket which helps you create a tailored menu for your dog and track their daily exercise levels. 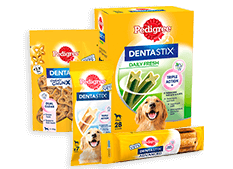 Sadly 4 out of 5 dogs over the age of 3 suffer from some form of gum disease. Plaque and tartar build up on teeth can be reduced by an effective dental care routine. The most effective way to do this is through brushing your dog's teeth on a daily basis. 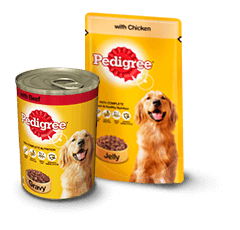 However, if this isn't possible for you, Pedigree® Dentastix® and Dentastix® Twice a Weekly are scientifically proven to prevent the build-up of plaque and tartar when used regularly and are recommended by vets. 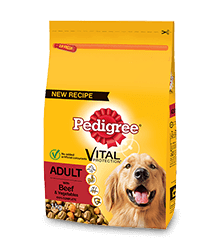 Pedigree® Treats offer a responsible way to do this and have been designed to cover a range of occasions when you might like to treat your dog. 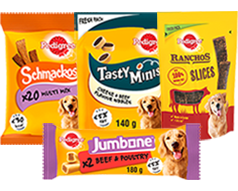 Remember though that only 10% of your dog’s daily calories should come from treats and other foods that aren’t 100% Complete.